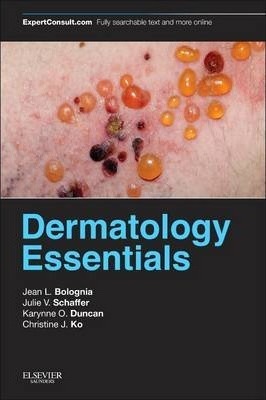 Dermatology Essentials, edited by world authorities Drs. Jean L. Bolognia, Julie V. Schaffer, Karynne O. Duncan, and Christine J. Ko, provides the quick answers you need on every important aspect of dermatology and guidance on their application in your day-to-day practice. Derived from the renowned authoritative reference work Dermatology, 3rd Edition, this on-the-go reference distills the essential information needed to quickly diagnose and manage a wide range of dermatologic disorders without the need for any additional resources. Review or refresh your knowledge of the fundamentals and diagnostic approaches of skin disease with unique introductory chapters providing the basic principles of dermatology, bedside diagnostics, and clinical approach to a fever and rash - extremely helpful for the beginner.